Clean the rice and moong dhal and (Actually u may slighly toast the moong dhal if u wish ..) Pressure cook it the rice and dhal starts falling apart. This might take 3 to 4 whsitles. In the mean time fry the cashews and raisins with a tbsp of ghee and have it handy.Now Take a wide bottomed pan and add the jaggery . Add may be a half cup of water to make the syrup (add water just enough to cover the jaggery) . Filter the syrup for any impurities. Pour the syrup back to the pan and cook it. Cook until u get a single thread consistency ..( u should see a thread if u press and pull back the syrup in between ur thumb and index finger ) .. 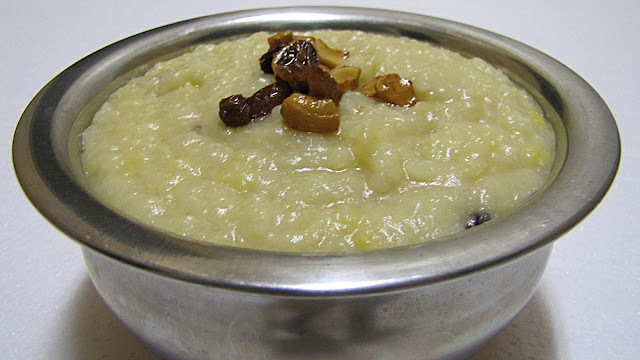 This is what we r looking for.. keep the flame in low and add the cooked rice and dhal mixture. Combine well. Add the ghee then and there while combining. Add the fried cashews and raisins as well and mix it well. Add a tsp of ghee on the top before serving.. 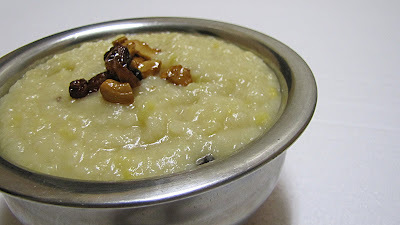 The pongal consistency has to be bit runny so that it will be in the right consitency once it's warm. The pongal colour totally depends on the colour of jaggery and the amount of milk being used.. My jaggery colour was pale and so the pongal.. Always add 4.5 cups of liquid for 1 1/2 cups of rice + dhal ..
U may decrease the milk ratio if u don like milk..add water instead.. Delicious pongal, I love sakkarai pongal. 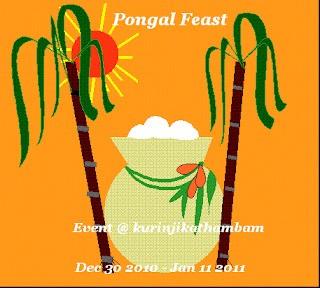 Yummy, sooo tempting and delicious pongal..Happy pongal wishes to u and ur family.